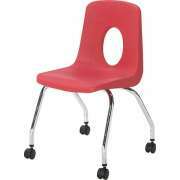 A sturdy, comfortable teacher chair is an essential part of your classroom furniture. While students come and go every class period, teachers often spend many classes in a row in the same room. With so much time in one space, your hard-working educators deserve to have an appropriate place to sit. 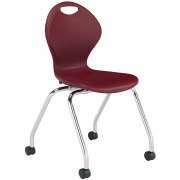 What kind of teachers chair is best? 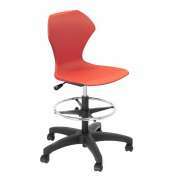 The teacher chairs in our collection include swivel chairs, task chairs and school chairs. 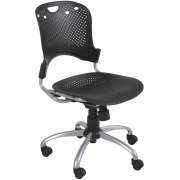 All of our chairs are built for durability and comfort. Show your teachers that you support their hard work and dedication by providing them with appropriate seating in the classroom. Classroom furniture isn&apos;t just for the students. Educators are an integral part of the school community and classroom culture, so it is important to make sure that they are properly supported -- emotionally, professionally and physically. 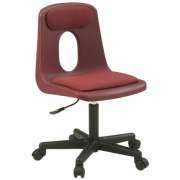 A comfortable, functional teacher chair can make an educator&apos;s job much easier, and significantly more pleasant. 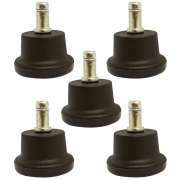 How can a teacher move around the room without having to stand all the time? The best teachers are the ones who move around the classroom rather than remaining in one place and lecturing. However, while walking around is important, it can also be difficult for anyone to stand through an entire class period. 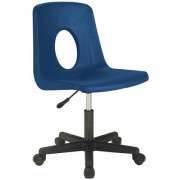 The ideal is to have a teachers chair that lets the educator move around the classroom without having to stand up all the time. 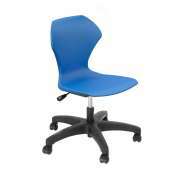 With a mobile swivel chair, teachers are able to keep track of students in all parts of the room, without having to constantly walk around. 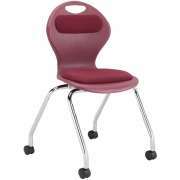 They can swivel around to get a full view of the classroom, glide over and help a student, or roll the chair into position and sit down anywhere they want. 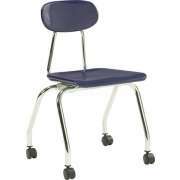 Rather than having to lift the chair or drag it to go over and work with students at their desks, the teacher can easily push the chair to the desired location with minimal time and effort. In addition to moving around the classroom, teachers must be constantly turning from side to side to maintain eye contact with students in different parts of the room. 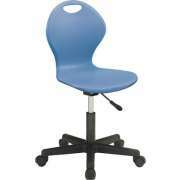 Rather than turning their bodies, educators who are seated in a swivel chair can simply rotate the task chair to face students without changing positions. This is a great arrangement for when one is seated in the front of the classroom or working with a small group around a desk or a table. 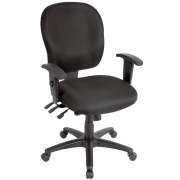 What should I look for in a teachers chair? 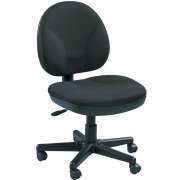 Certain features are always convenient to have in a teachers chair, because having a properly-positioned chair can make a huge difference to anyone. 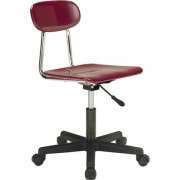 Adjustable-height teacher chairs are ideal because they can be adapted to fit almost anyone perfectly. While this is useful in any setting, it is especially helpful for a teacher who is working with young students. Many teachers, especially those who work in preschools or elementary schools, spend a lot of time sitting on regular children&apos;s school chairs, which can be harmful to their backs over time. 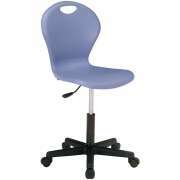 However, rather than having to bend down and strain his or her back, or sit on a child-size school chair, a teacher can simply lower the teacher chair seat and stay on eye-level with students in a position that is comfortable and supportive for them. 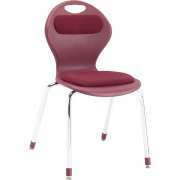 How can I coordinate my teacher chair with other classroom furniture? 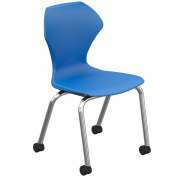 If you like to have a classroom that is totally coordinated, we have teachers chairs that match perfectly with our student classroom chairs. 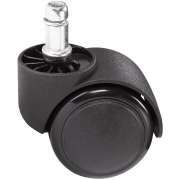 You can choose hard plastic or poly shell models. If you want to coordinate your learning space but are concerned that school chairs on wheels is not supportive enough for teachers, you can still have the best of both worlds with one of our padded teacher chairs. At Hertz Furniture, we know that classroom design, layout and furniture affect the experience of both students and teachers. 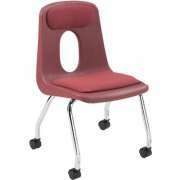 Comfortable seating is essential for everyone involved in the educational environment. 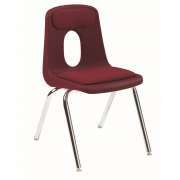 Especially with all of the efforts and teacher expenses educators take on, they deserve to have a nice place to sit. When you provide educators with attractive and supportive teacher&apos;s chairs, you enable them to focus better, while demonstrating a high regard for the important work that they do.